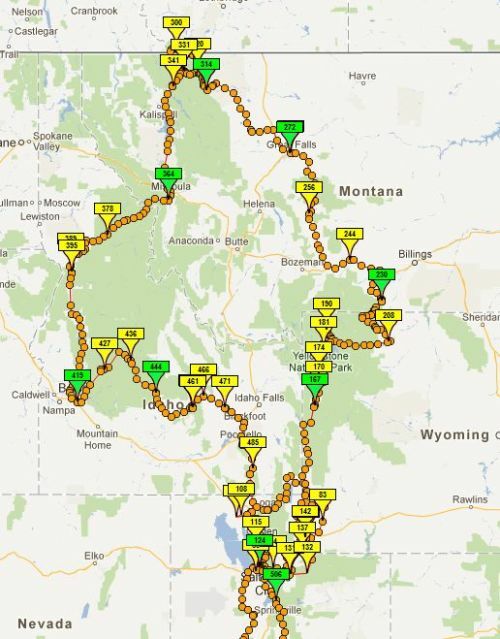 Tomorrow morning, my long-distance riding buddy, Paul Prince, and I are headed out west on a long motorcycle trip. 18 days, 5300 miles, and 14 states. Glacier National Park, Yellowstone National Park, the Tetons, Black Hills, Mount Rushmore, and everything in-between. We’ve taken several long trips together, but this one is going to be different. Paul and I have been praying for God to place in our path folks that need to hear the Good News. We’ve been praying for the Holy Spirit to lead us, guide us, empower us, and embolden us to minister to folks along the way. Our antennas will be up, sensitive to His leading. We are even bringing “tools” with us. Paul, as a Gideon, is bringing Gideon New Testaments. I’ve had business cards made up with my blog website on them. But more than that, we are journeying with hearts wide open. We’ve done some of this in the past, but it hasn’t really been our focus, to be frank. We’ve happened across folks that are hurting and, for the most part, we’ve been faithful to minister to those the Lord has placed in our path: a waitress in Niagara Falls, another waitress in Lexington, KY, and a cashier behind the counter somewhere in Colorado come to mind. About a week ago, Sharon’s daughter, Christy, gave me a gift: a study on the Holy Spirit. Church on the Hill is beginning a study soon on the same Person. Coincidence? I think not. I believe God is trying to grow me and stretch me. He is trying to pull me away from my own agenda and schedule to open me up to more of Himself. Oh, how I long for that! I am desperate for it! So, we leave Sunday morning to enjoy this great country, God’s creation, but more than anything, we are traveling with eyes wide open, looking for opportunities to bring Good News to those who desperately need it.